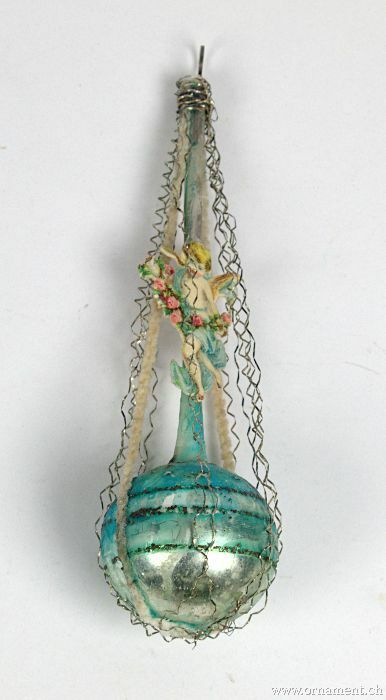 Ornament: Balloon with Angel Scrap. 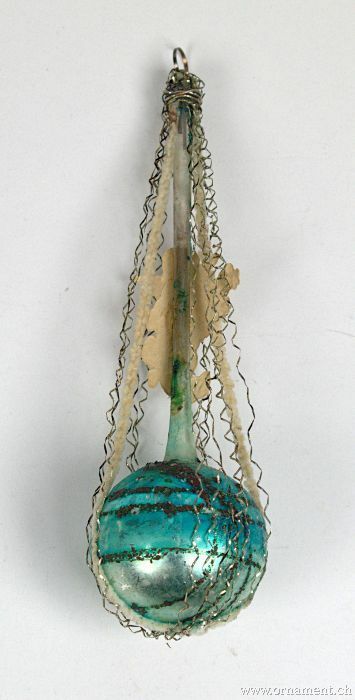 Material Glass, wire, paper, metal. Size 5.5 inches high, 1.6 inches diameter.